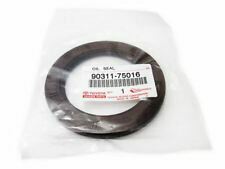 Genuine Toyota Yaris T Sport Rear Engine Oil Seal. 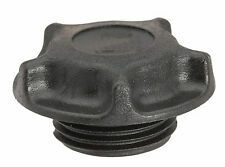 ENGINE OIL CAP (JE11001) - QTY:1. REG NUMBER. Any claims after 24 hours will be dismissed for a claim. Highlands, Islands and Ireland such as the following AB31 TO AB56, ON, BT, GY, HS, IM, IV, JE, KW, PA20 TO PA78 AND ON. Toyota - Alphard - ATH1_, MNH1_, ANH1_ [2003-2008] MPV - 2362ccm 131HP 96KW (Hybrid). Toyota - Alphard - ATH1_, MNH1_, ANH1_ [2003-2008] MPV - 2362ccm 159HP 117KW (Hybrid). Toyota - Alphard - ATH1_, MNH1_, ANH1_ [2003-2008] MPV - 2995ccm 220HP 162KW (Petrol). Toyota - Auris - NRE15_, ZZE15_, ADE15_, ZRE15_, NDE15_ [2006-2012] Hatchback - 2231ccm 177HP 130KW (Diesel). Toyota - Auris - NRE15_, ZZE15_, ADE15_, ZRE15_, NDE15_ [2006-2012] Hatchback - 1998ccm 126HP 93KW (Diesel). OIL FILLER CAP, EARLY TYPE. Prius (09->). Auris (07->). Yaris (07->). Avensis (08->). Carcasa del filtro de aceite cubierta de. En caso de duda - sólo pregunte. Reference OE/OEM Number_2 A120E7166S. Reference OE/OEM Number_1 1562037010. Add function and style to your engine bay with a Mishimoto CNC billet Oil Filler Cap. 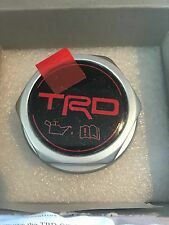 This cap fits most Toyota engines, see tech specs for more info. Mishimoto products are a high quality manufactured item. Toyota Auris (2006-2013). Toyota Previa (2000-2005). Toyota Yaris (1999-2011). TOYOTA YARIS 10- OU. Toyota Prius (2000-2009). Toyota RAV4 (2000-2012). Lexus RX (2005-2015). Toyota Corolla (2001-2013). Camry 2010 4 Cyl. Camry Hybird 2012 4 cilindro (2ARFXE). Muchos entusiastas de Toyota aprovecha y actualizar a la aluminio tapa filtro de aceite durante los cambios de aceite. Nota: La instalación es lo mismo que la tapa de plástico pero cambio el tubo perforado puede ser necesaria si la longitud es diferente de su vehículo. Oil Filler Cap for Lexus GS, IS, RX, Toyota Auris, Avensis, Celica, Corolla, Hiace, Land Cruiser, IQ, Prius, RAV 4, Urban Cruiser, Verso. TOYOTA 12180-0H020. Hence fitting by professionals is recommanded. Plug and Play. Toyota MR2 MK2. Will fit all MR2 MK2's 1989-1999. The engines in the MR2's that we get are 3SFE, 3SGE & 3SGTE - We do not get the 5SFE Engine therefore i know nothing about it. Our cars are right hand drive.again I take no responsibility for any muddle up with Left Hand Drive Cars. Bring showcar looks and racecar utility to your FR-S & BRZ's engine bay with HKS oil filler cap. Color: Red Anodized. Toyota Camry _CV2_, _XV2_ (1996-2001). Toyota Corolla _E10_ (1994-1997). Toyota Corolla Levin Coupe AE10_ (1991-1997). Toyota Corolla Liftback _E10_ (1992-1999). Toyota Corolla vagoneta _E10_ (1992-1997). 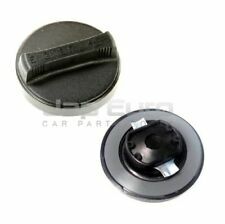 GENUINE TOYOTA REGIUS/ HILUX OIL FILLER CAP. REGIUS TOURING HIACE. 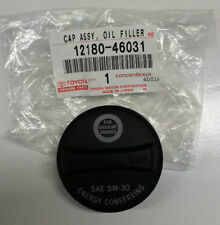 GENUINE TOYOTA OIL FILLER CAP. LAND CRUISER S/T,H/T. O,E PART NO 12180-70020. OUR PART NO AJU199001. CHASSIS GA70, JZA70 ,MA70. CHASSIS FJ75, L17#, HZJ7#, PZJ7#, KZJ7#. TOYOTA 12108-13010. TOYOTA 12108-78010. TOYOTA 12180-0D010. TOYOTA 12180-0H010. TOYOTA 12180-13010. TOYOTA 12180-13030. TOYOTA 12180-15010. TOYOTA 12180-15011. Toyota - Corolla - _E10_ [1992-1997] Saloon - 1587ccm 106HP 78KW (Petrol). Toyota - Corolla - _E10_ [1992-1997] Saloon - 1587ccm 115HP 85KW (Petrol). Toyota - Starlet - _P7_ [1984-1989] Hatchback - 1295ccm 75HP 55KW (Petrol). Buddy Club oil filler Cap. Colour: Titanium. TOYOTA LEXUS ACEITE TAPÓN DEL OEM 1218062020. TE DEJARÉ UNA BUENA REGENERACIÓN DEMASIADO. Al realizar un pedido desde los EE. Engine Oil Level Dip Check Stick. Toyota Corolla 3 Door 1997-2001. Item is in good clean working condition but does have a few age related marks. UK cars are right hand drive.again I take no responsibility for any muddle up with Left Hand Drive Cars. 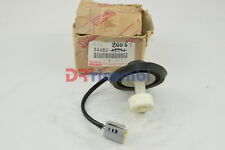 Genuine Toyota Prius 2009 Oil Filler Cap. Buddy Club oil filler Cap. Colour: BLACK. 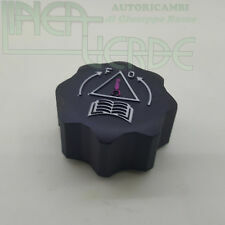 Compresseur de climatiseur 1,8 VVT-i Toyota 1ZZ-FE GE447220-9247 Avensis Celica Corolla MR2 W3 Rav 4. Type Avensis Celica Corolla MR2 W3 Rav 4. Véhicule Toyota. Si vous ne trouvez pas le véhicule que vous cherchez dans la liste de véhicules affichée, cela vient du fait que tous les véhicules ne sont pas représentés. Ajuste para la mayoría de los vehículos Toyota y Lexus con empuje ajuste tipo tapón del aceite. Máquina CNC con superficie pulida brillante. Aceite tapa tipo: Push Fit. 1 tapón de llenado de aceite.